Slots get a bad rap. The slang term one-armed bandit is a good example. The modern games known as slot machines in the USA, fruit machines in the UK, and pokies in Australia are usually looked at with scorn by bettors crowding blackjack and craps tables. The truth is, not all slots are sucker bets. Some slots offer odds competitive with (supposedly more sophisticated) table games. Regardless of the style of slot you play, be it a three reel single pay line throwback or a modern five reel video bonus game, it isn’t hard to find slots with a decent payback percentage. 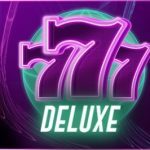 What Does a Slot’s Payback Percentage Mean? When a slot machine advertises the number “98%,” that means the machine has been tested by a third party and certified to (theoretically) win 2% of all the money fed into it. Remember this is a mathematical estimate, not a fact chiselled in stone. That 98% return number is the average return for that game based on statistics and an infinite amount of plays. Take a look at 5 Reel Slots versus 3 reel slots for a real-world example of how understanding the math behind slot machines can help a slot gambler make smarter decisions. For simplicity's sake, imagine a 3 reel slot machine has 64 symbols per reel. That gives the machine 262,144 possible combinations of symbols, only one of which (in our example) results in a jackpot. Put your money in our 3 reel slot and pull the arm – you have a 0.000046% chance of hitting the jackpot. Now imagine a 5 reel slot machine. Each reel also has 64 symbols. By the same math we used to establish the number of combinations for our 3 reel slot, this 5 reel machine has 1,073,741,824 possible combinations. Playing by the same payout schedule as our 3 reel slot machine, the likelihood of hitting a jackpot on this 5 reel slot is an infinitesimal .0000000000931%. 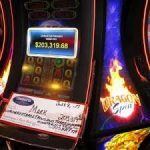 That's why the casinos can afford to offer such a huge jackpot for machines with more reels–the amount of money put in chasing that extremely unlikely jackpot totally justifies a million-dollar payout. Remember that this is just an example. Some 3 reel and 5 reel slots will have more than a single way to win the jackpot, and depending on the payout schedule, it may make more mathematical sense to play a given 5 reel over another 3 reel. The lesson here is not that only 3 reel slots are a good bet, the lesson is that understanding a machine's percentage vs. payout is the only way to choose a slot if your main concern is winning cash. Casinos get tricky with slot machines and their payout percentages. Have you ever seen a casino hurting for cash? They're in it to win money, and they know how to manipulate slot machines to return the most profit. 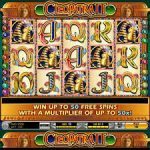 Choosing a 5 reel slot machine is a matter of finding a machine that offers an advantageous wager size and payout schedule. Slot machines that cost more per bet are designed to pay back a larger percentage because the casino makes more money on larger wagers than on smaller ones. Penny slots have the worst payback percentages because the casino has to make back their money on those tiny bets. In other words, if you're bound and determined to play a 5 reel slot machine, do yourself a favor and play the machine with the highest max bet you can afford. 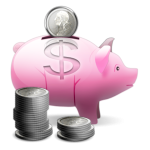 How do you know how much you can afford? Start with your bankroll. Figure out how much cash you wouldn't mind losing at the casino in a single day. For some of us, that might be $50, for others they can afford to drop $500. For the sake of this example, let's say you're comfortable with losing $100. If you play a $1 machine, you can expect 100 pulls. Since the average slot player can pull the lever 600 times an hour, you'll be out of cash in just a few minutes, assuming no wins. For a $100 budget, sticking with a nickel slot would give you a few hours of slot gaming, about the most anyone can stand unless they're a total slot junkie. 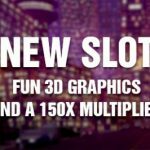 Looking at your budget and figuring out the best return for the amount of entertainment you're looking for is the only way to pick a slot machine, be it a 5 reel, 3 reel, or a fancy modern video slot. The mathematical differences between 3 reel and 5 reel slots are significant, if you're chasing a jackpot. But winning at slots isn't all about jackpots. 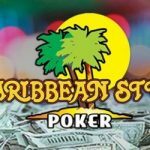 Small victories along the way can keep you afloat to continue playing, and if your bankroll is $100 and you manage to win a $50 payout, that's a significant win. So now you have to compare the value of a small or mid-range win at a 5 reel slot versus the slightly greater chance of hitting a jackpot on a 3 reel slot. There's no way to teach this tactic. 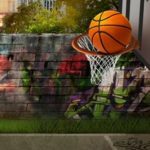 You have to be able to read a slot machine–look at the pay schedule, the max bet size, the size of your bankroll, and how difficult it is to get those little wins that sustain a bankroll while you chase a bigger prize. But you can pick a slot for any reason at all. There's no bad reason to choose a particular slot machine. Maybe you like the sound effects of one machine better than another, or the symbols, or the pretty woman sitting next to you at a given machine. The point of slot gaming is to enjoy yourself. If you're playing a slot machine that pays back 90%, you could end up paying just a few bucks an hour for entertainment. 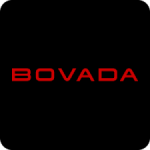 Using a Bovada Bonus Code before you play will increase your payback percentage. Cheaper than a movie, and there's no way a movie theater ever offers you the chance to win a big jackpot. Play slots because they're fun, and quit if you get ahead even just a little bit. Don't forget to join the slot club, take the free drinks you're offered, and (if you feel like you've spent a good deal of cash at their slots) asking a floor manager for something free. After all, casinos are in the business of pleasing their customers.